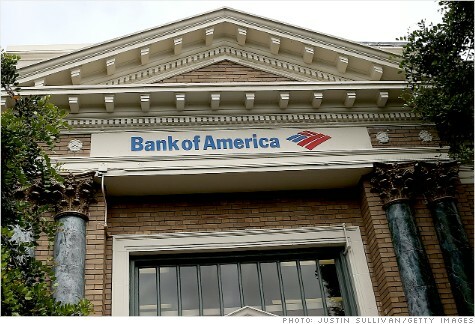 NEW YORK (CNNMoney) -- The Justice Department is seeking $1 billion from Bank of America, alleging the bank committed fraud by selling defective mortgages from a program it says was known within the bank as "the Hustle." Well, it's not Goldman Sachs but it is another "too big to fail" bank fraudster - Bank of America - as a result of what we already know was a fraudulent operation, Countrywide Home Loans. While it was known to B of A that Countrywide was using questionable underwriting prior to their acquisition of CW, BofA continued using the same questionable underwriting - internally known as "the Hustle". The "hustle" was a nickname for the bank's "High-Speed Swim Lane," or HSSL program, designed to streamline the mortgage origination process. But the government alleges it was "intentionally designed to process loans at high speed and without quality checkpoints, and generated thousands of fraudulent and otherwise defective residential mortgage loans." "The fraudulent conduct alleged in today's complaint was spectacularly brazen in scope." Yes indeed, many of the actions of our "too big to fail" institutions were "spectacularly brazen" and fraudulent having caused the biggest economic collapse world wide in history. We all here and abroad are still suffering from this massive fraud yet very little has been done to convict any of the people responsible. If it were the so called "mafia" you can be sure that arrests would have been made, charges levied and trials with ultimate convictions held. If it were you or me - like was the case with Bernie Madoff - we would be Madoff's cell mates for sure. So what is it from our government - through two administrations and different political parties that continues to prevent justifiable criminal actions taken against the perpetrators? I suggest to the borrower to do some researching on refinance Massachusetts so that they will not be fooled by the illegal mortgage company. They have the right to choose on what mortgage company should apply that is legal in order to satisfy their needs.